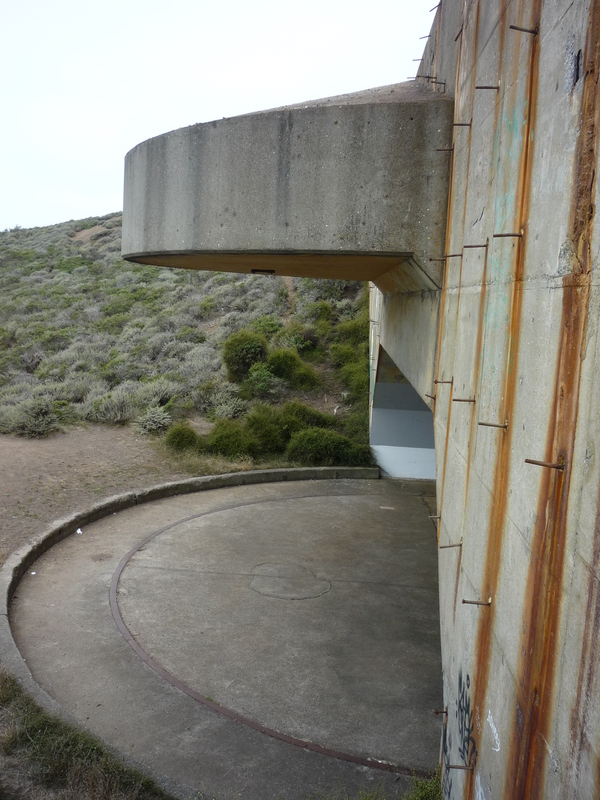 In the Marin County Headlands, north of the Golden Gate Bridge, you can visit gun emplacements constructed in 1940. 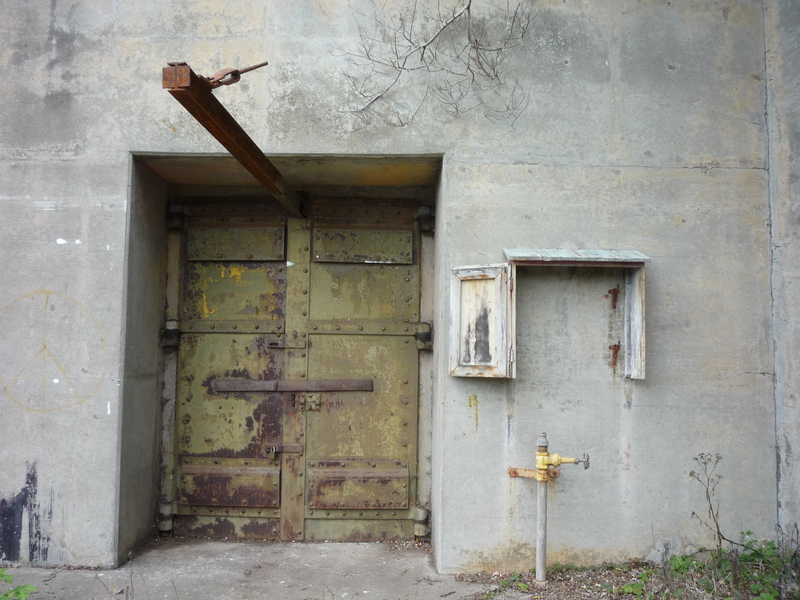 The guns are long gone, but the concrete structures where they used to be are impressive. 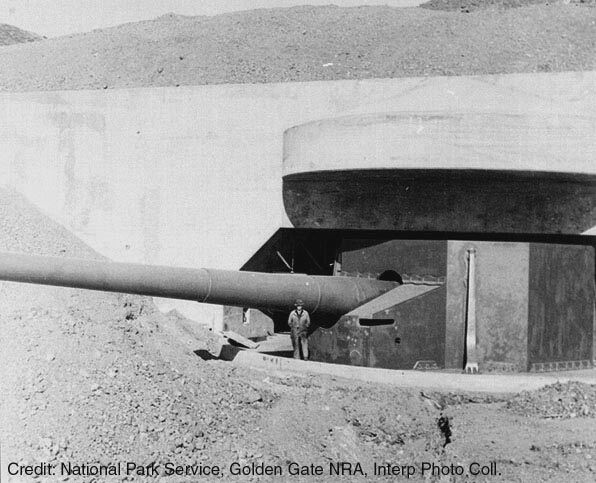 These guns could shoot a projectile 30 miles out to sea. The barrels were 68 feet long. 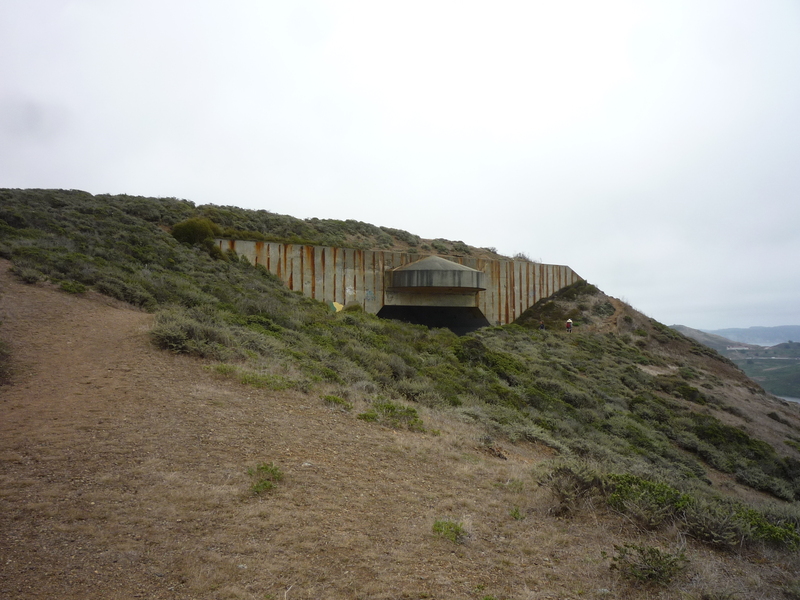 The shells were kept in these bunkers. They weighed 2100 pounds each, and were handled with the rail overhead. 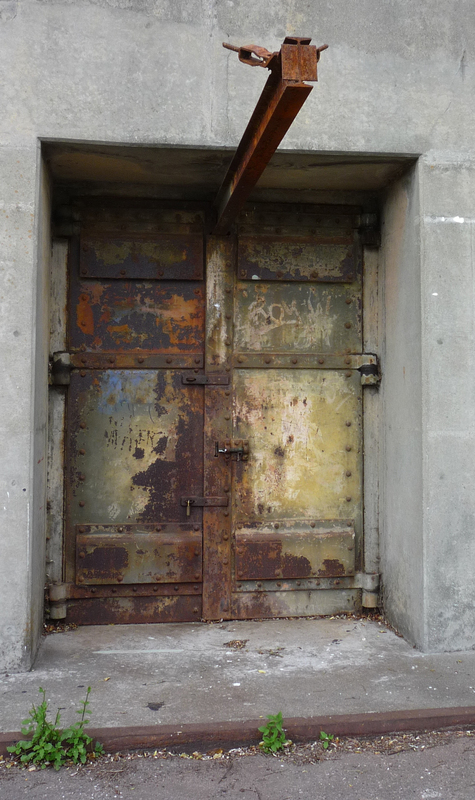 The doors to the bunkers have acquired a wonderful, rusty patina. If you want to see closer, click on the picture and it will embiggen. 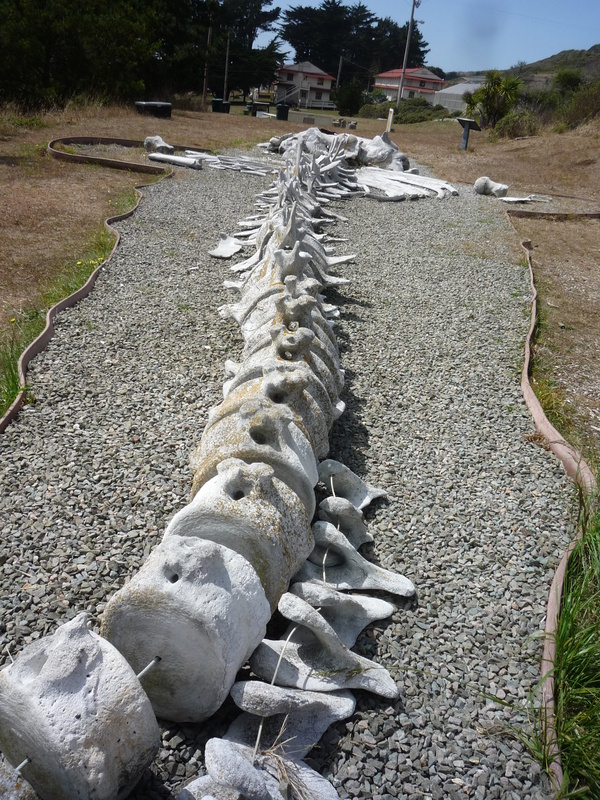 On the way back, we saw the skeleton of a blue whale. It’s laid out in a nice exhibit for schoolkids. Nice counterpoint to the military stuff.